With his latest film, The Salesman, Asghar Farhadi once again proves his mastery in presenting complexities of human relationships within the confounds of his native country Iran. But he also demonstrates that even when there are political and cultural differences among us, deep down, certain things in life are constant and universal. 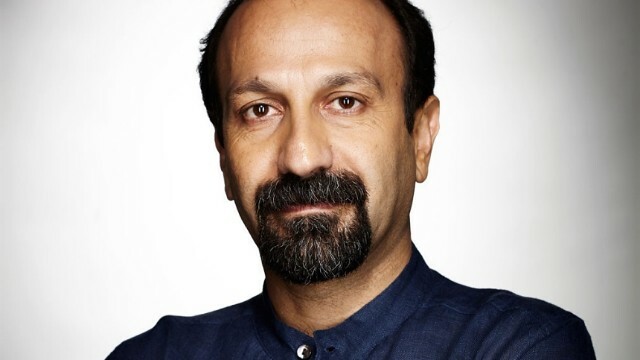 I was eager to talk to Farhadi about his richly layered human drama when he was in town before the theatrical release of the film on Friday, January 27. * Many thanks to our translator Sheida Dayani of Harvard University. The structure of this film is very interesting. Loved how you set it up in the beginning with the broken window and cracked walls, as we learn that the foundation of the couple’s relationship is shaking with what happens in the middle of the film. Earthquakes aside, does this kind of construction mishap happen a lot in real life in Tehran? Tehran is a very large city. Everyday, they are dismantling old buildings and building new ones, almost like New York in the 50s and 60s. Everything changes very fast. And all these destructions put harms on older buildings and make them collapse. This is not something that happens everyday but it happens sometimes. But the structure of the film itself, there are two parts into it: One part is theater and one part is real life. This was the first time I was experiencing something like this. And I wanted these two parts to go parallel, reach for and connect with each other at some point. And i wanted it to be the case that by the time we get to the end of the film, the boundaries between these to merge and then turn into one. People usually think that the couple in the film -- Emad and Rana -- is the same couple in Death of the Salesman, Willy and his wife Linda. But there is something else that I’d like you to know. The older man who comes into the film later, and his wife are the ones representing Linda and Willy for me. Doing this was a very new experience. DEATH OF A SALESMAN. Why that particular play? When I wrote the treatment of the story, I thought about many plays. Then I got to Death of the Salesman which I was familiar with in my student years, it excited me in many aspects. The theme of the play and the theme of my script were very similar -- they had both stressed on the theme of humiliation but also contempt. They were very close thematically but it was interesting for me that I had a character in my story that is very close to Willy in that play. In (Arthur) Miller’s play, there is a touch, there is a color or residue of sexual theme, especially when he goes into a hotel in Boston and he sees the woman and his son Biff comes in and catches him. In my story, there is also a sexual theme. And there are also these subtle things and colors, minute connections that I later on developed but this theme really convinced me that the play was the best one that I can play with. In some of your films, characters take the laws into their own hands, trying to do the right thing. Is it because the system too untrustworthy or because vagaries of human life need to be solved with a more nuanced approach? Can you elaborate on that a bit? It could be all the things that you listed. But the most important thing is that applies globally is that people usually like to implement laws themselves. When a person is furious and angry, they don’t feel at ease with themselves until they take revenge. When you leave justice in the hands of law it takes a very long time and that doesn’t satisfy people. Maybe you don’t trust law, maybe you don’t want this private issue to be revealed publicly. The thing that many people enjoy is when they do justice themselves and when they could stand up for their own rights. And this is when the retaliation and revenge begins. Revenge in a sense that you both judge and execute your own orders. The scene that struck me the most was when Emad stops eating the food bought by the money that was left in the house and returning the money to the old man at the end. That would never happen in America. Is he just very traditional and old fashioned or is it his character that Rana later finds as faults in his character, and that’s why they are not going to be together? 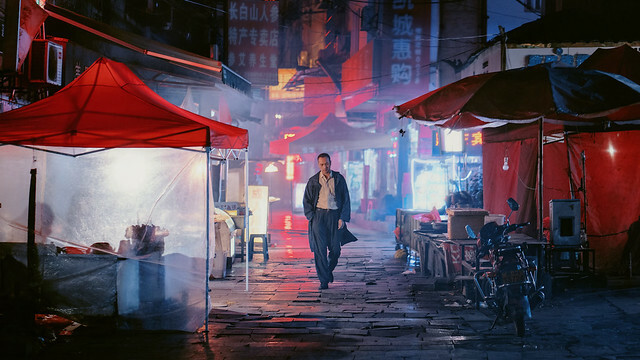 The character has this impression of himself, the notion that he has of himself, the notion that other people have of him gradually changes throughout the film. When he is put in one specific situation, another side of him comes out. Even he is surprised of this change. At that table when he doesn’t want to eat the food, he is not a religious character. But he comes to a point that personally, that food to him is polluted. And he feels that the shadow of that old man or that person whom he assumed as guilty is everywhere. Permeating everything he sees. And this is what leads him to revenge. He doesn’t decide to revenge but more like he is gradually thrown into it. You can’t say that’s a fault of his. This is the characteristic of his personality. I believe he is oscillating between his modern and traditional behavior. And he himself doesn’t know about it. I noticed Ingmar Bergman’s SHAME poster in their old apartment. With them not having children and them joking about it made me realize that there is some kind of connection there, albeit very subtly. Am I right about that assessment? In Bergman’s Shame, there is also a couple that doesn’t have a child. And because of war, the character of man [played by Max Von Sydow] changes like we wouldn’t believe. The woman doesn’t change but it’s the man who changes. And we see the side of character of that man we didn’t expect. The same thing happens here except that instead of war, it is their surroundings, the environment that causes him to change. With its title being SHAME, I was wondering if there is a connection between being an artist and apolitical in Bergman’s film and the characters in THE SALESMAN where both of them are artists and living a semi-comfortable life that there is a class distinction between them and the old couple. In Bergman’s film, those characters are very sensitive people- they are close to nature and very vulnerable. Their relationship is very subtle and they always communicate their feelings with each other. The woman [played by Liv Ullman] plants flowers and has a very sensitive personality. And the man is very dependent on his wife and he always talks to her and reveals his feelings. Bergman does this because he wants us to feel the change in people who are sensitive and subtle to people who are aggressive. In my film I turned this into people who are dealing with culture and they are theater actors. Being an actor means being someone who can put himself in other people’s shoes. We are surprised in this film because Emad is supposed to know how to put himself in other people’s shoes and play the roles but he fails to do that when he fails to put himself in the shoes of his wife- that he failed to see through her eyes. Being an actor, yes I would say he is a cultural elite. There is also life as a stage thing that I’ve been thinking about ever since I saw the film. As it ends with two of them getting their makeup on for the stage, the film takes on yet another, metaphysical layer to it. Much has happened and I don’t see Emad and Rana staying together. But ‘Life is a stage and it goes on’ no matter what happens? One of the things you can sense is that life still goes on for everyone. But these people are not the same people that you know before it happened. In the last scene you see them going through their make up, they look older and tired. Every night they have to go on stage and play the role of a family that they have cause into destruction and death. And this seems to be an endless torture for them. When I look at the last scene, I think about how they are going to perform the play after what happened. They have a sense of shame about themselves. We lost of a lot of great artists throughout 2016. The most devastating for me was the passing of Abbas Kiarostami, one of the greatest filmmakers of our time. Can you say a few words about what he meant for you as an artist? This was the bitterest occurrence that happened in the cinema past year, because he was one and only. There was no one like him. There is no one like him. Many people tried to be like him or copy him but because their personalities are different from his, their films didn’t come out the way his films did. I met him a few weeks before his death the last time. He was lying in bed in his house when I went to visit him with a woman who was a friend of his. When we entered his room the first thing he said to the woman was, “the flowers on your scarf are very beautiful.” I spent an hour with that lady on the way there and I hadn’t noticed that. He had always seen the world from a different angle. He had learned to see the beauty in the world. He respected life very much. He appreciated life but the life didn’t appreciated him unfortunately.